On Wednesday, Governor Andrew Cuomo announced that the busts of Robert E. Lee and Stonewall Jackson, located on the campus of Bronx Community College, would be permanently evicted, following the removal and dismantling of several sculptural depictions of the Confederate generals across the country in recent days. There are many great Americans, many of them New Yorkers worthy of a spot in this great hall. These two confederates are not among them. The funny thing about these particular busts though. Most New Yorkers were probably saying to themselves, “Busts of Confederates? In the Bronx?” Cuomo’s statement is probably the most that been written about them in more than five decades. 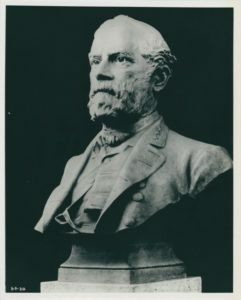 But many people have been displeased with Lee’s placement in the Hall of Fame from the moment it was decided to place his bust there back in 1900. Angry New Yorkers wanted to rip down his likeness before it was ever even erected. History remains static even as our recollections of it evolve, even as our monuments to it transform without a single chip of the chisel. Statues often reveal more about the nature of collective memory than the likenesses represented in these honors. Nowhere in New York City is that more true than a strange little nook of marble busts in the Bronx. 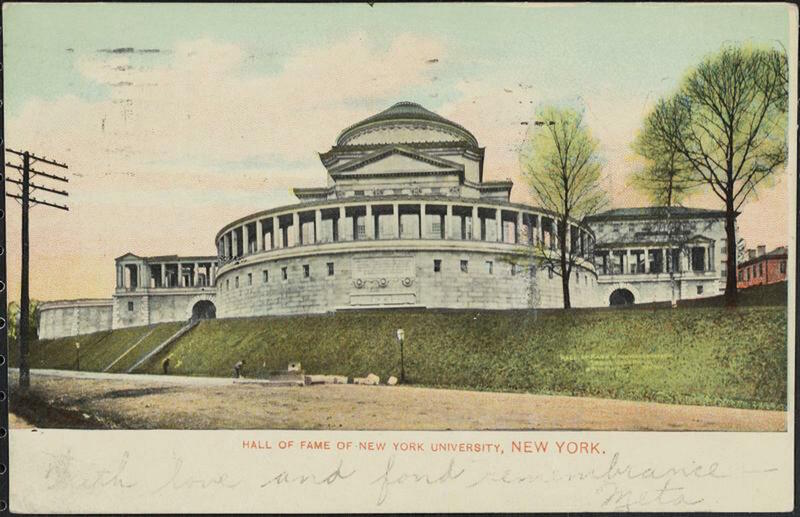 The Hall of Fame of Great Americans, located on the beautiful campus of Bronx Community College (the former uptown campus of New York University), used to be considered a very, very important place. Tucked on a scenic cliff overlooking the Harlem River (and with the Cloisters well in sight), the Hall of Fame was an ambitious project constructed in 1900 with the idea of immortalizing Americans who had made significant contributions to the sciences, the arts, politics and the military. 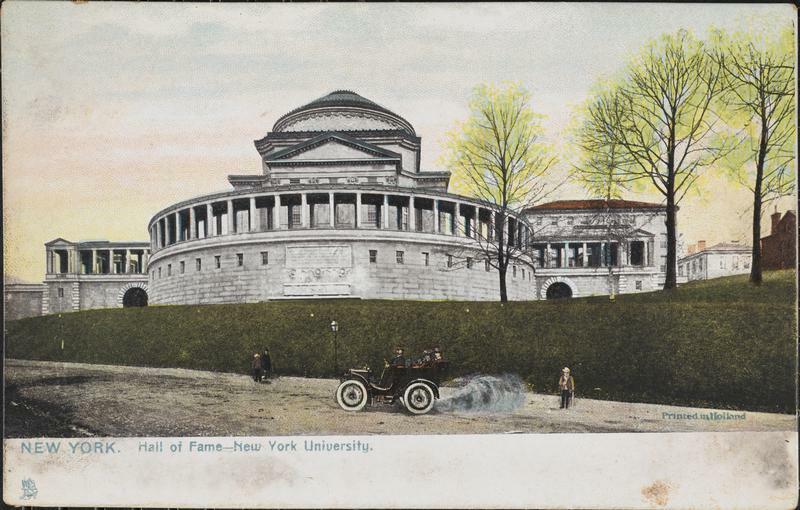 Spearheaded by then-chancellor of NYU Henry Mitchell MacCracken, the project is the first real memorial ‘hall of fame’ concept to be executed in the United States. With America flush with Gilded Age wealth, the Hall of Fame was intended to be an American pantheon, a modern response to the god-filled marble hallways of Europe. Walking along the spacious colonnade tucked behind the Stanford White-designed Hall of Philosophy, you are thrown back into a mix of turn-of-the century scholarly aesthetic and the belief of equating the American movement with ancient Roman and Greek forefathers. There are 98 portrait busts representing a host of great minds — many recognizable, other completely forgotten today. The hall was regularly updated up until the 1970s. 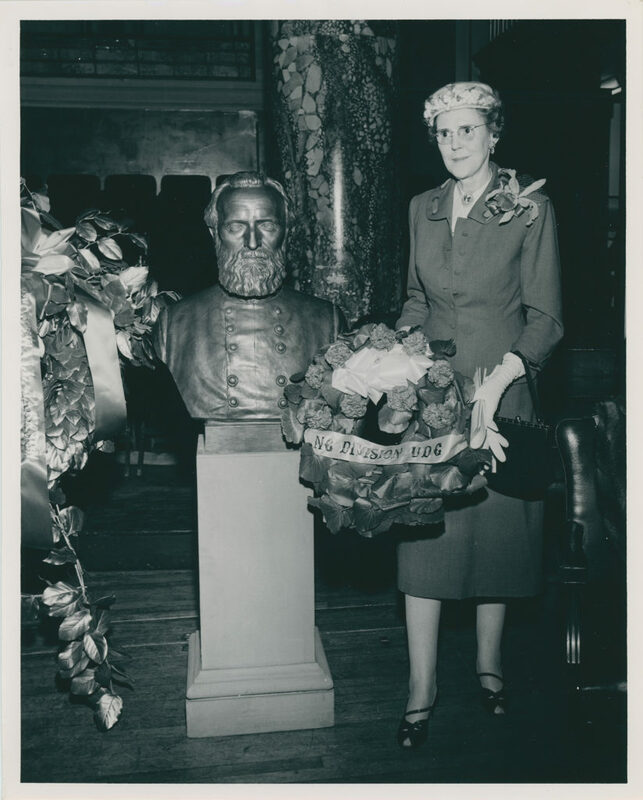 Several people have been voted into the Hall of Fame but never received busts (sorry Andrew Carnegie). 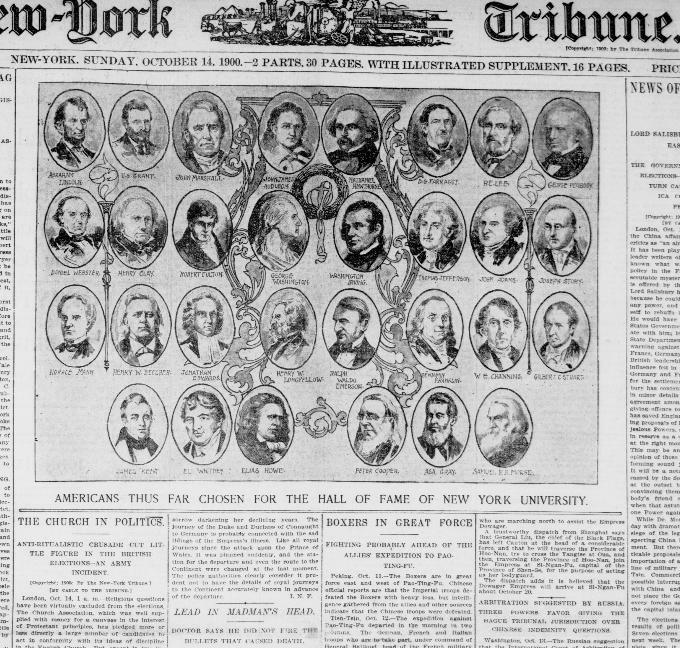 Prominent American citizens voted on who would be the first entrants to the Hall of Fame in 1900. When the ballots were at last tallied, a great number of (exclusively) men included some very obvious choices (Benjamin Franklin, Abraham Lincoln) some inspired ones (Nathaniel Hawthorne, Peter Cooper), and a couple bizarre ones, by today’s standards (the famed botanist Asa Gray). 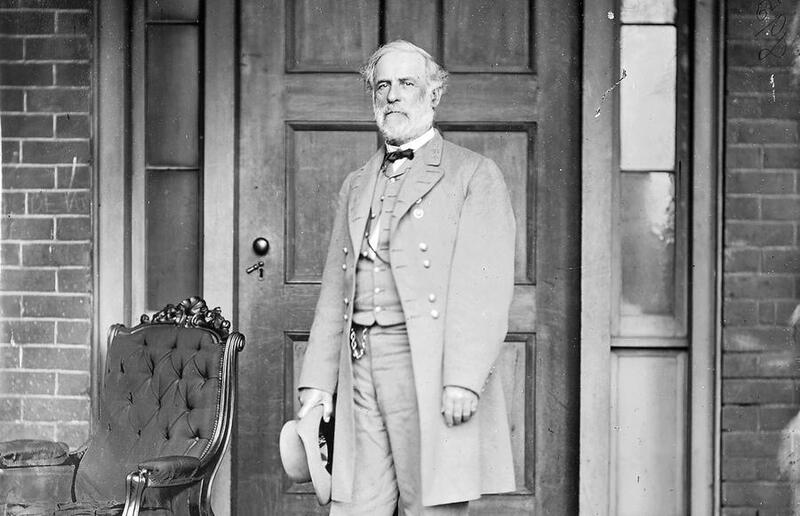 Interestingly one man who had fought for the Confederacy during the Civil War made the original list — Robert E. Lee. Over a half century later, he would be joined by Stonewall Jackson, another Confederate general. But Lee’s appearance in this immortal pantheon was almost never in question — at least for those who voted on the original inductees. However, almost immediately, the possibility of Lee’s inclusion became controversial. The idea of a Confederate general — responsible for the deaths of thousands of Union soldiers — seemed ridiculous, even offensive, particularly to Northerners and to the residents of the city which would hold the Hall of Fame. Leading the charge against Lee was the New York Sun. In Alabama, the Montgomery Advertiser also trashed the Sun: “No doubt that paper is an admirer of John Brown and others of his character while vilifying one of the greatest captains of the century.” Brown led the raid on Harpers Ferry in 1859, an event which became a cause célèbre for Northern abolitionists. “His only claim to distinction is that he displayed great ability in his attempt to destroy the Government he had sworn to defend, much of his ability being due to the education given him by that Government. The only excuse to be made for Lee is that he thought he was right, that he thought he must be ‘loyal to his State’….. But supposing Lee was honest in his belief, it is not customary or proper to honor a man for making the mistake of a lifetime. We may forgive his offense but neither justice nor charity requires that we should do more than maintain silence on the subject. However it is interesting that of all the objections about Lee and Jackson, none directly had to do with slavery or the plight of enslaved people. Others thought of the Hall of Fame a place of representative honor and so Lee must be included, if only to bring the Southern states into the hall’s august glory. Others set aside grievances with Lee and took aim at another candidate — John C. Calhoun, the former Vice President who set the wheels of the South’s secession in motion. In the end, Lee would be among the original inductees to the Hall of Fame. (Calhoun would fail to make the final cut.) Indeed the balloting proved both general to be well regarded in their day, placing higher in the voting than all generals by Ulysses S. Grant. The Hall of Fame is a true curiosity in the ‘roadside attraction’ sense. 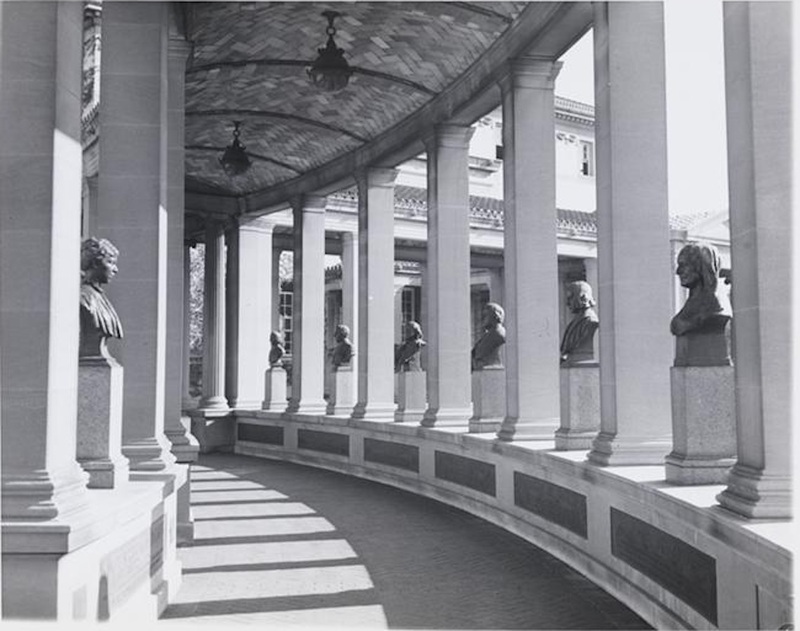 Once NYU sold the campus in the 1970s, the colonnade was virtually neglected, the hall of fame forgotten. It is a modern ruin that current events has dusted off for new evaluation. Portions of the research for this article were taken from a previous article I wrote about the Hall of Fame back in 2009.